4- he does have the dark on his chest, not much better than we ever had but still some. Now the last one is our trusty guy Rico, he has white legs but has thrown us yellow legged chicks , his chest is way too dark almost all grey. But he is kind and trustworthy you can pick him up and he never struggles, you can pick up his girls and he lets you, with no worries. We are planning on breeding Rico with a few of this year"s girls that are light feathered but wanted L.S. to breed also to help get rid of the dark chest etc but really not sure if he is worth hanging onto to do this with his temperament. What is your take on this guy? Can you look at him and give him his positives and negatives as you guys see it! Really would appreciate your time! I like the look of LS, at 26 weeks he won't have his full tail yet. 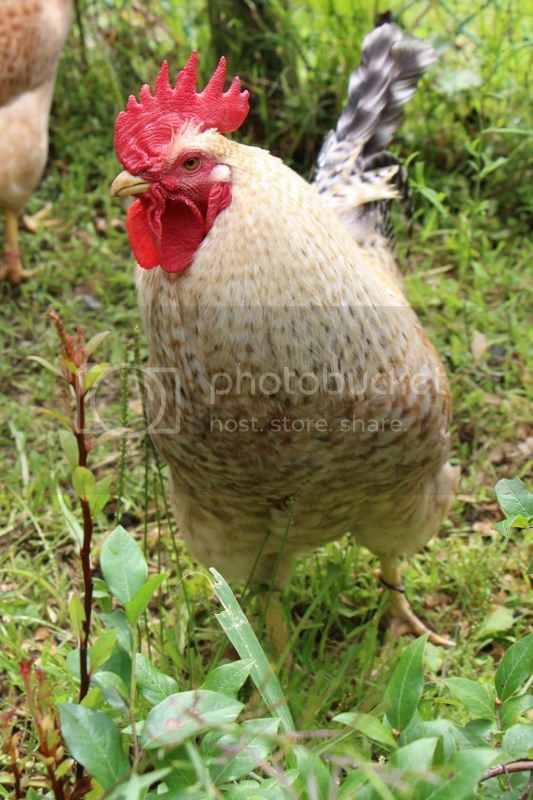 I hate nasty roosters and I have had my share of them over the years. I had "Nasty Boy" this Spring that I hatched last Summer and I kept him because he looked the most promising but then he turned nasty. Before his departure from FRF I did hatch some of his offspring which I am glad I did as he threw some nice looking pullets. If you can tolerate his behavior until you can hatch some babies from him it might be worth while, then you could breed his offspring with Rico or his offspring. Rico looks like great type, minus the dark chest and white legs and if he is a nice boy, worth hanging onto, but that's just my opinion for whatever it's worth! LOL. 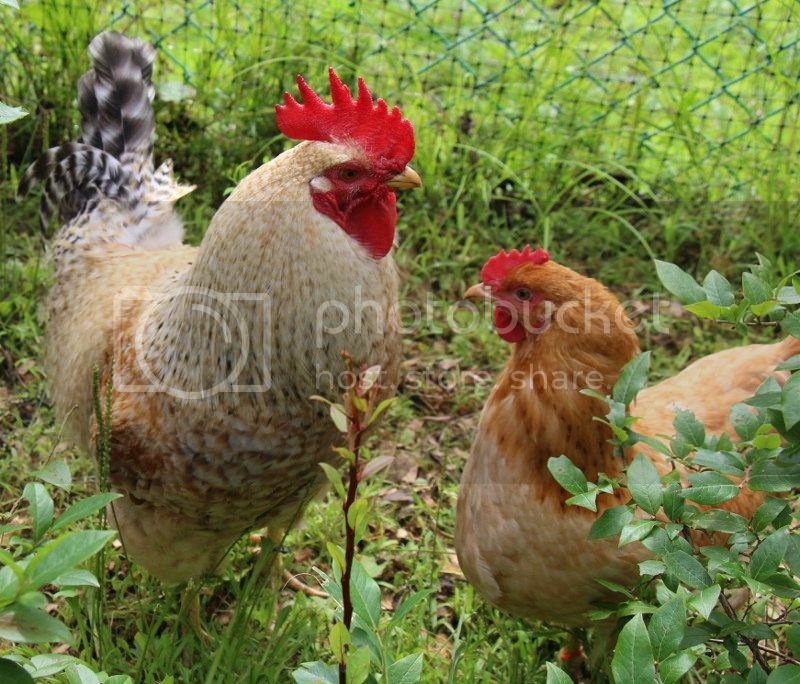 I have a rooster "S" that is a real gent and even though he is dark in the chest he is a keeper, if it's his only fault I can breed that out with the proper hens. I think you know exactly what you are talking about Hollowridge. LS's back is too short and perhaps his legs are a bit on the short side too but I think he will create some nice chicks for you. I would guess he will never have a really long tail, he looks to be the "butterball" type of EO which in my experience never get as long a tail as the rest. Keeping a nasty rooster and breeding him (possibly making more nasty rooster...) because he is nice in other ways is not an easy decision. It's one I'm about to have to make myself. 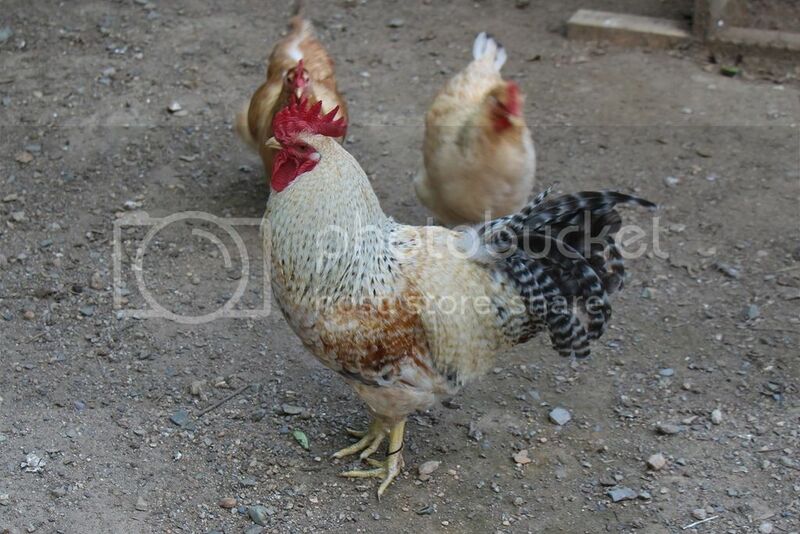 How big/heavy a rooster is Rico? He appears to have nice type but looks like he might be a little on the small side? His feather and leg colour are for sure something you will need to select against but as long as you like eating Chicken and he is producing some nice chicks that's not a big deal. Oh no guys, now I really not sure what to do!! Both of you FRF and PG make good points and ones that we are having a hard time with. I was hoping he would get out of his temperment and he wasn't a butterball as PG so correctly called him, (you should she him when he really puffs out for me, at times I feel like kicking him like a soccer ball . And I really not sure how much Rico comes in at we never checked that out, but when hubby gets some time off we may have to weigh him. 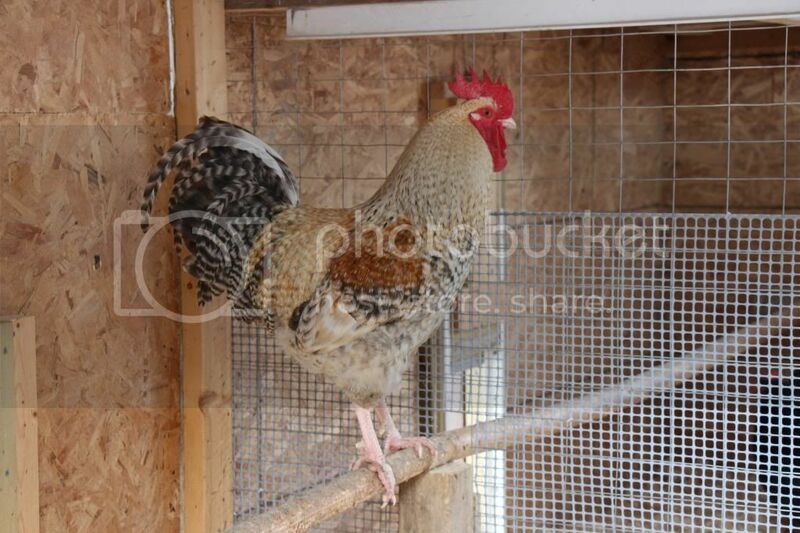 He was in Riverbends reserve pen after he got his rooster from Flat rock Farms eggs. We need better blood down here, and still do. All of birds are on the small side I would say. Okay, now what, this can be so hard at times!!! Oh well there could be worse choses than these. Not meaning to sound negative Hollowridge! I have gotten lots of nice chicks from a "butterball" rooster (mine happened to also be mean) and some will likely have the longer tail and back. And maybe I'm wrong...do you have any other cockerels of the same age and if so how long are their tails? When I look at him I do like his comb and leg color and feather color and he looks a nice size! And Rico has lots of good traits too! We have to work with what we've got and right now that means trying to take the best pieces from different birds and get them all into each bird. I think you have a lot of nice traits to work with in these two boys. 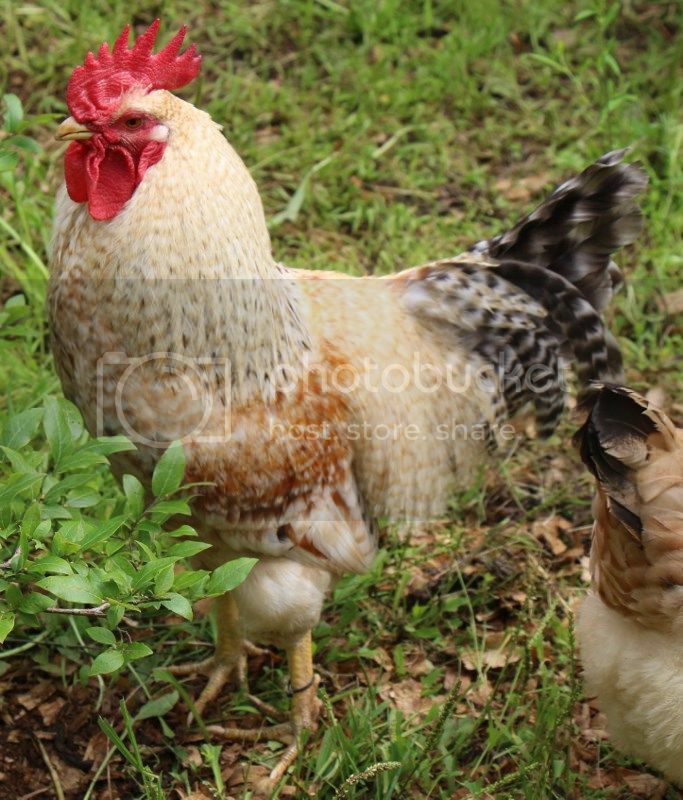 I just can't bring myself to breed a mean EO rooster no matter how beautiful. To me it would be setting your breeding program back, it is such an important trait and is the thing that really attracted me to the breed. Its such a hard decision to make. Rico does have quite a dark chest but even though I have been told (gubi?) it can take quite awhile to breed it out I still think he would be a better choice. Sorry I haven't been on. Moved Daughter and did volunteered for the S.H.A.I.D, for the past few days. Now I have all the chicken work and garden vegetables to catch up on. PG, you are not being negative, I WANT AND NEED, all of you guys input so we can make the right choice. LS may be a little puffed out in those pictures as he was in a confined space with me hunting him down and taking pictures. Will try and get one later at a distance and crop it in so that he is normal size. I wanted close ups of his features so you guys could make informed choices. Will try and get his weight and Rico's at that time also. Hubby and I are on back and forth talks with this subject all the time, and others with our different birds. I will have to start another topic and find out what traits are passed though the rooster and what from the hen and which gender those traits go to. eg: we have an E.O. girls we call honey. Sweet as can be and loving, but she is tiny, she has all the right colours etc, her egg is now a good size at 1.5 years of age. I wonder if you breed her with a nasty fellow if her kindness would then be passed on? Or if we will only get tiny birds? Well got more to do outside and it is very humid here so break time is over. Thanks everyone for you time! As promised here is a picture of LS when he isn't puffed out at me. Rico came in at 6 3/4 lbs and is going through a molt so not sure how much that affects his weight, and the girls also. So all of our birds are a little on the small side I feel.